So much has been said about how to guard your child against bullying at school, or in the park etc. But little do we discuss about correcting a bully cild. What do the parents of a bully go through? Certainly it is not a lot of fun to have to correct a child who bullies others. 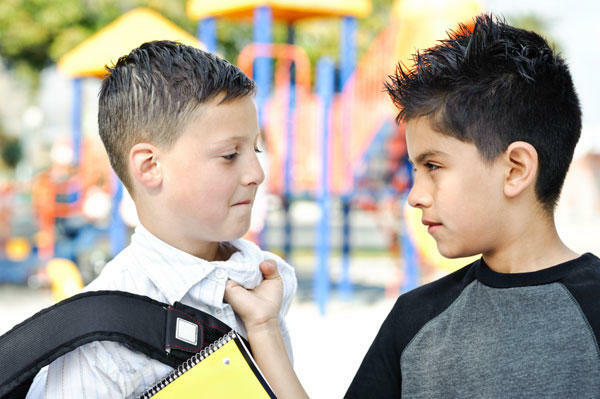 But if you have a child bully, it is something you just have to do so that he or she can have normal social interactions and form relationships later in life. 1. Start with the positives. Appreciate everything good that your child does and reward good behaviour. This helps in instilling good manners and behaviours. 2. Teach your child a way to destress. Couting to 10, taking deep breaths, jumping, dancing, singing, these are all positive ways to cope with stressful situations. 3. Do not exhibit bullying behaviour in front of your child. Our children learn the most from our behaviour. Do not bully your spouse! 4. Monitor what your child watches on TV or on the computer. Excessive violence does not set a good example for impressionable children. 5. Set a good example for your child and be a role model. Volunteer at old age home and be helpful to people around you. This will teach your child empathy. 6. Deal with your child in a loving and patient manner. Scolding or getting angry or slapping your child will only reinforce negative behaviour. Are You Partial Towards One of Your Children?